Congratulations! You win 36 bonus points with this purchase! We are selling the remaining units we still have in stock. 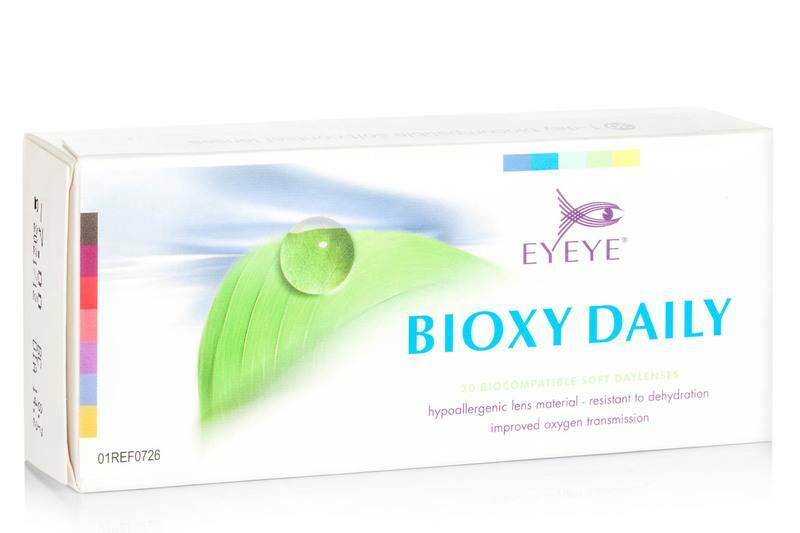 Eyeye Bioxy are daily contact lenses made from a hypoallergenic material and bio components that provide natural comfort all day. The non-ionogenic component used in the Bioxy line of the Eyeye lenses ensures less debris and dirt settlements. The Eyeye Bioxy contact lenses have a spherical shape and rounded edges, high oxygen-permeability and they don’t cause irritation or image deformation. The contact lenses have a light blue tint for easier handling and a UV filter. wearing lenses 10 years and these are best what I ever tried!